Nice! 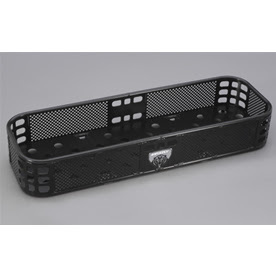 This black heavy duty mesh basket secures easily to the rear rack of your ATV. This rear mesh box is nice and deep and fits the Grizzly 700 for 2007, 2008 and more. An excellent base for tying down just about anything. To shop for this and other great ATV accessories such as skid plates, bash plates, etc. visit our online site.